As the days grow shorter, we settle into a routine and feel the comfort of home. Much of the wildlife does the same. Fall is a great time to create a wildlife habitat in your backyard. Creating a wildlife habitat is easy to do and richly rewarding. Your wildlife garden can be a container garden, window box, a corner carved out in a traditional landscape, or an entire suburban lot. Providing food, water, cover and places to raise their young is all that is needed to create the habitat. A walk through your property will reveal what you have already. You may be surprised how little more you need. To attract wildlife, provide the kinds of food wildlife need – either naturally or with supplements. The more variety of food sources the greater variety of wildlife you’ll attract. Various seeds, nuts, berries, fruits, nectar, sap, and pollen are all good food sources. The use of regionally native plants is also recommended, providing 10 to 50 times more food to the wildlife’s likings. Food can also be supplemented with feeders to hold seed, suet, and nectar. A clean, reliable water source is a key part to creating a wildlife habitat. Water is needed for drinking and bathing. Locating the water source within an easy view also makes it entertaining for the homeowner. Providing water can be as simple as adding a birdbath. Give multiple locations at varying heights to attract a variety of wildlife. It is important to provide water year round, even in the winter and, of course, during times of drought. Wildlife needs cover for protection against the elements and predators. Having a place to escape the threat of pending danger attracts more wildlife to the garden. 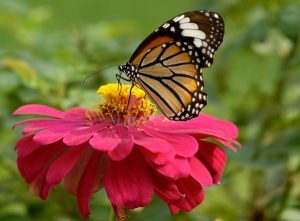 A variety of plant life ranging in size, height and density with trees, shrubs, perennials, annuals and ornamental grasses will increase your chances of attracting more kinds of wildlife. The cover also gives your wildlife a safe place for reproduction and nurturing their young. 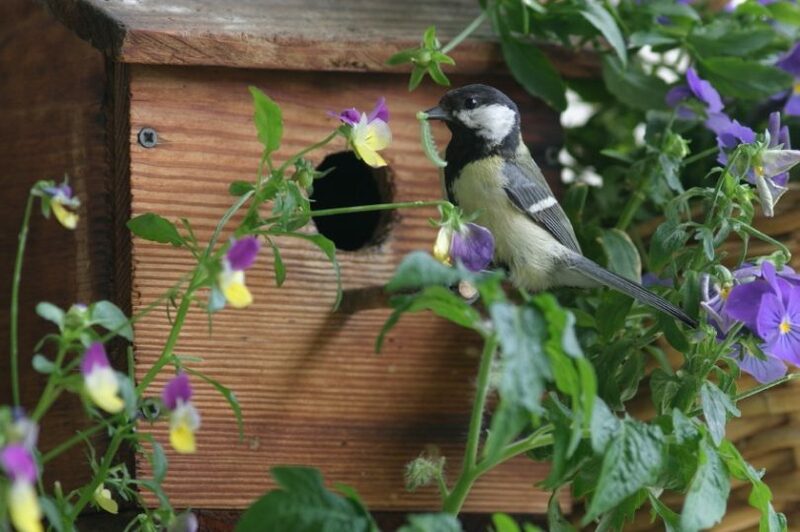 In a backyard, dense shrubbery or birdhouses provide safe areas for birds to nest. Different animals have different needs, including certain wildlife requiring water to raise their young such as salamanders, frogs, toads, and dragonflies. Sustainable gardening practices will also benefit your wildlife habitat such as controlling non-native and invasive species, eliminating or reducing the use of pesticides, use of mulch and reducing lawn size. The National Wildlife Federation is conducting a nationwide goal to certify 150,000 wildlife-friendly yards. For more information on how to certify your yard, visit www.nwf.org. Helen Yoest is a gardening coach and designer through her company Gardening With Confidence. You can catch up with Helen via her blog at www.gardensgardens.wordpress.com.